Contestants nominated by the UK’s leading conservatories, compete for a prize before a distinguished panel of judges. The audience collectively act as one judge. The audience’s vote is also revealed. This event is perfect for anyone who is either interested in spotting emerging talent, and enjoys following singers’ careers, or for an opera novice, who would like to dip their toe in the operatic water, getting a taster from a wide range of operas, before committing to a whole one. Each item is introduced and set into context by the inimitable, concise and witty compère, Isobel Flinn, and accompanied by Robin Humphreys, recently described as a ‘world class repetiteur’ by Louise Flind in Opera Today. This event includes the traditional 70 minute supper interval. Come and cast your vote! Previous winners include – Alfie Boe (RCM) 1998, Camilla Tilling (RCM) 1999, Kate Royal (GSMD) 2003, Kathryn Rudge (RNCM) 2009, Natalya Romaniw (GSMD) 2010, Anush Hovhannisyan (RCS) 2012, Kang Wang (RNCM) 2014, Alexey Gusev (RCS) 2017 (Pictured above) and Emma Mockett (RCS) 2018. 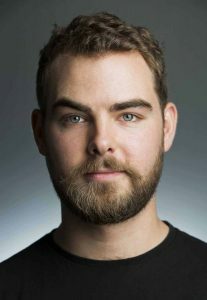 Baritone Arthur Bruce is a graduate of the Royal Northern College of Music, English National Opera’s ‘Opera Works‘ programme and Scottish Opera’s Connect Ensemble. He is currently in his final year of study at the RCS’s Alexander Gibson Opera School. Operatic engagements include Chorus at Scottish Opera and Opera Holland Park; the title role in Gianni Schicchi (RCS Opera School); Papageno Die Zauberflöte (Berlin Opera Academy); Zurga Les pêcheurs de perles (Edinburgh Grand Opera); Guglielmo Così fan tutte (Bedford Park Festival, London & Chez Cartier, France); Wolfram Tannhäuser (Edinburgh Players Opera Group); Harlekin Ariadne auf Naxos (RCS Opera Scenes); Henry Davis Street Scene (RCS Opera School); Sam Trouble in Tahiti (RNCM Chamber Opera); Prince Yamadori Madama Butterfly (Bowdon Festival Opera); Bobinet La vie parisienne (Ferrier Operatic Society). Arthur’s continued studies are generously supported by a Help Musicians UK Sybil Tutton Opera Award, the Robertson Trust Scholarship for the Arts and the Daniel Derby Wood Fund. 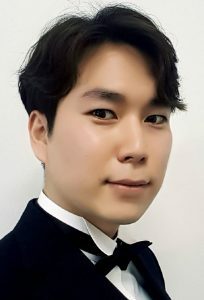 South Korean baritone Kyu Choi is currently studying for his Advanced Diploma as part of Royal Academy Opera under Mark Wildman and Ingrid Surgenor, generously supported by Independent Opera, Charles Mackerras Opera Scholarship, Stokes Bursary and Henry Wood Award. He has made numerous solo appearances, notably at the Wigmore Hall, and the Seoul Art Centre Recital Hall. He sang several principal roles including the title role in Don Giovanni with the RAO under Gareth Hancock, as well as appearing as a soloist in oratorios such as Elijah at the Buckingham Parish Church, Buckingham. He won the first prize at the 2018 N. Obukhova International Singing Competition in Russia and the opera prize at the 2017 Mozart Singing Competition, he received an award from Josephine Baker Trust (2016) and was a finalist of Wilhelm Stenhammer International Music Competition in Sweden (2018). He is looking forward to several upcoming concert engagements. Christine Byrne is a mezzo-soprano on The Postgraduate Diploma Advanced Professional Practice course at the Royal Welsh College of Music and Drama where she studies with Anne Mason. 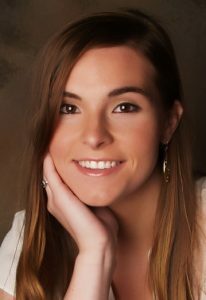 She graduated from Seton Hall University with a BA in Music and a BA in Theatre, where she was the recipient of both the Music and Theatre honours citations as well as the Angelo Rancatti Music Scholarship. Currently her studies at RWCMD are generously supported by The Clive and Sylvia Richards Charity. Her past performances have included the title role in the RWCMD production of La cenerentola conducted by David Jones, La ciesca Gianni Schicchi conducted by Carlo Rizzi and Mrs Jones Street Scene conducted by Wyn Davies (RWCMD) and Ino in the RWCMD Mid Wales Opera production of Semele conducted by Nicholas Cleobury. Future performances include Florence Pike in Albert Herring (RWCMD) and Sister Lillianne in Dead Man Walking (Welsh National Opera). 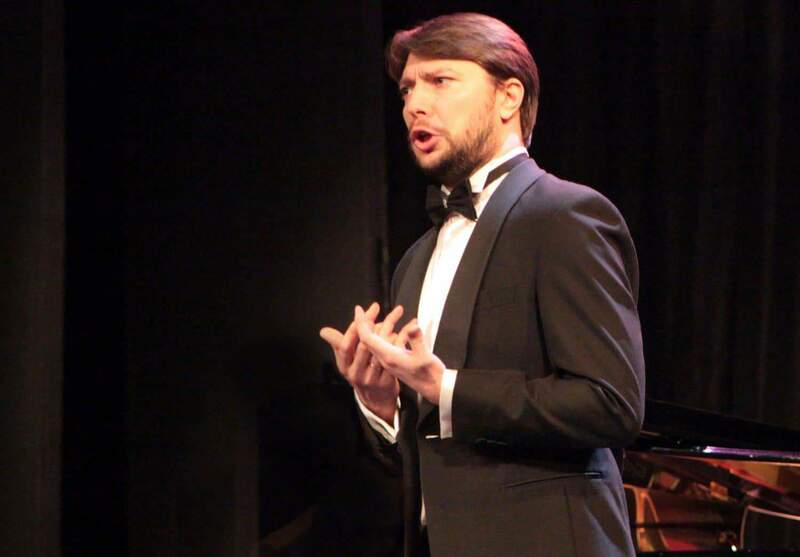 Australian Lyric tenor Iain Henderson is a graduate of the Royal Northern College of Music, and the Queensland Conservatorium of Music, Brisbane. Iain has received several accolades including; Noosa Federation of the Arts Dame Joan Sutherland Award (2016), Joyce Campbell-Lloyd Scholarship (2014), and Ronald Dowd Memorial Prize for Tenors (2013). As a Semi-Finalist in the 2014 Australian Singing Competition, he was selected as one of the top ten young Operatic performers in Australia and New Zealand. 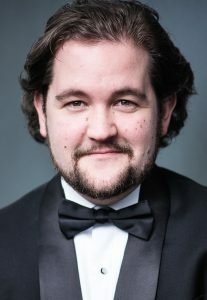 Iain’s roles include; Rinuccio Gianni Schicchi, Puccini, (RNCM), Sellem The Rake’s Progress Stravinsky, (British Youth Opera), Rosy Lickspittle Hansel and Gretel, Humperdinck, (RNCM), Mayor Upfold Albert Herring, Britten, Le petit Vieillard, L’Enfant et les Sortileges, Ravel, and Azaël L’Enfant Prodigue, Debussy, (Queensland Conservatorium Griffith University). 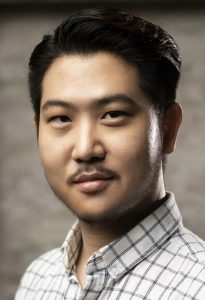 South Korean Bass Ki Hyun Lee made his role debut as Dulcamara L’elisir d’amore at the Daegu Opera House in 2015. In 2016 to 2018 he has performed as Doctor Grenvil La traviata at the Keimyung Art Centre, Colline La bohème, Second Soldier and Fifth Jew Salome at the Daegu Opera House. Ki Hyun studied under Tenor Seok Be Ha at Keimyung University College of Music & Performing Arts in Daegu where he was a BSC scholar for his 4 undergraduate years. He is currently studying for his masters at the Royal College of Music under the tuition of Patricia Bardon where he is an Emma Rose Scholar, is supported by the Alice Templeton Scholarship, a Daegu Opera House Scholar and Sungjung & Hwangjin Scholar, a Josephine Baker Trust scholar and a recipient of The Opera Awards Foundation Bursary. 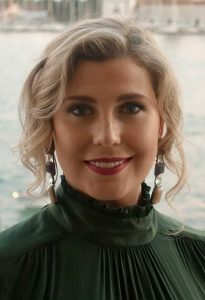 Alexandra is a soprano from Lancashire, born and raised in Mallorca, currently training at the Guildhall School of Music & Drama Opera School. She is a Samling Artist and is supported by The Henry Osbourne Award and The Countess of Munster Musical Trust. Notable awards include The Elisabeth Harwood Memorial Prize, The Joyce and Michael Kennedy Award for singing Strauss and the Joyce Budd Prize from the Kathleen Ferrier Young Singers Bursary. She is also a recipient of a Silver Medal from the Worshipful Company of Musicians. Recent roles at the Guildhall include Fiordiligi Così fan tutte, Lucia I/II The Long Christmas Dinner and Anna Gomez The Consul. Further roles include Barena Jenufa (Grange Park Opera), The Bride/Wife/Mother The Vanishing Bridegroom, Mrs. Coyle Owen Wingrave (British Youth Opera), Theodora, Métella La vie parisienne, Fiordiligi Così fan tutte, Rose Maurrant Street Scene, Helena A Midsummer Night’s Dream (Royal Northern College of Music), Mabel The Pirates of Penzance, Angelina Trial by Jury, Gianetta The Gondoliers (International G&S Festival).